Sleeping in a car doesn’t have to be uncomfortable. 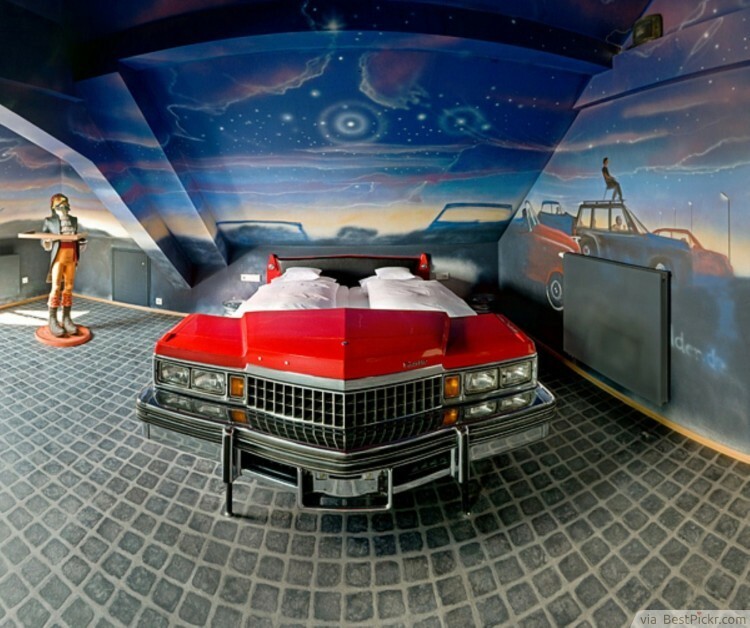 Hop into a legendary red Ford reconditioned as a bed and sleep your nights under a starry sky in this awesome Las Vegas-styled master bedroom idea. There is perhaps nothing more relaxing than being able to unwind in your ensuite - a bedroom with a hot Jacuzzi pool right across your bed. Dipping your feet and then totally submerging your body in the crystal clear waters will wash all your worries away. Notice the foldable glass curtains which can stretch out to form a wall to separate the bedroom from the turquoise pool. The sophisticated ambiance will also lift your spirits. This majestic design will make you feel like a royalty inside your very own castle. The dark colors, and differently textured fabrics add to the seductive appeal of the room which will be great for couples. It’s design is an elegant mixture of classic, traditional, and Gothic. Purple is the color of wealth, elegance and sophistication. 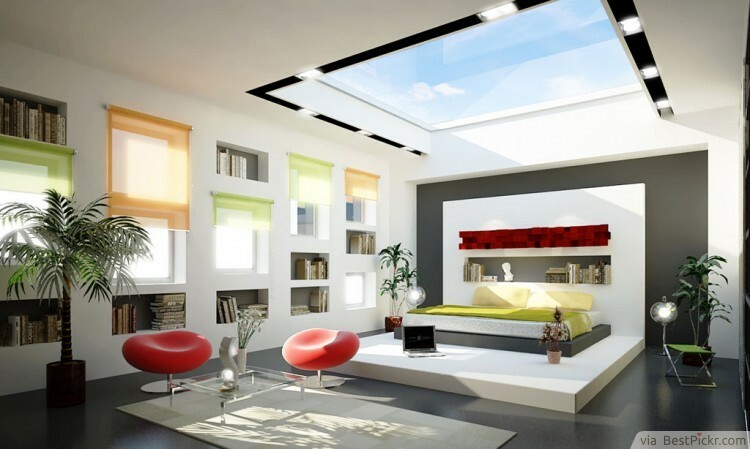 This is one of the reasons why ladies would like their rooms to be designed with it as the primary color. 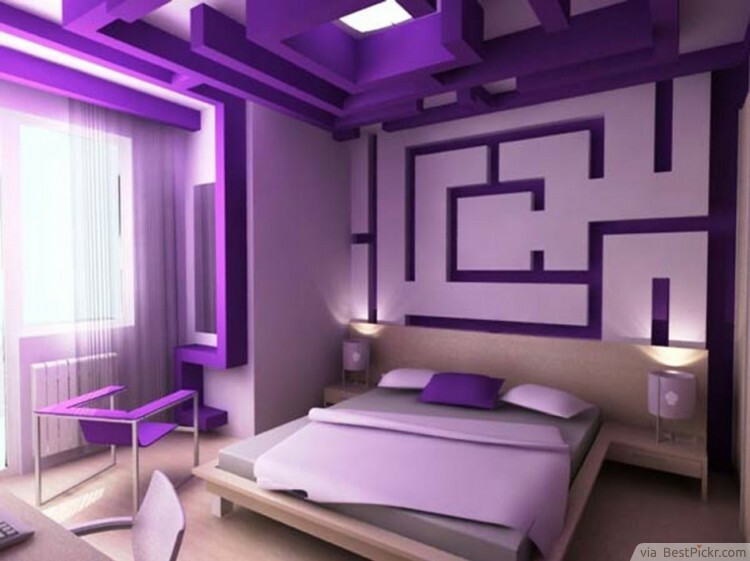 To add a solid and confident charisma to the soft and mellow purple, why not make a maze out of your ceilings and walls? Career women will love this interior design idea. You can never go wrong with black and white. The use of contrasts along with the master ceiling, clean lines, bold patterns, varied textures and breathtaking view makes this bedroom seem like it came straight out of fantasy land. 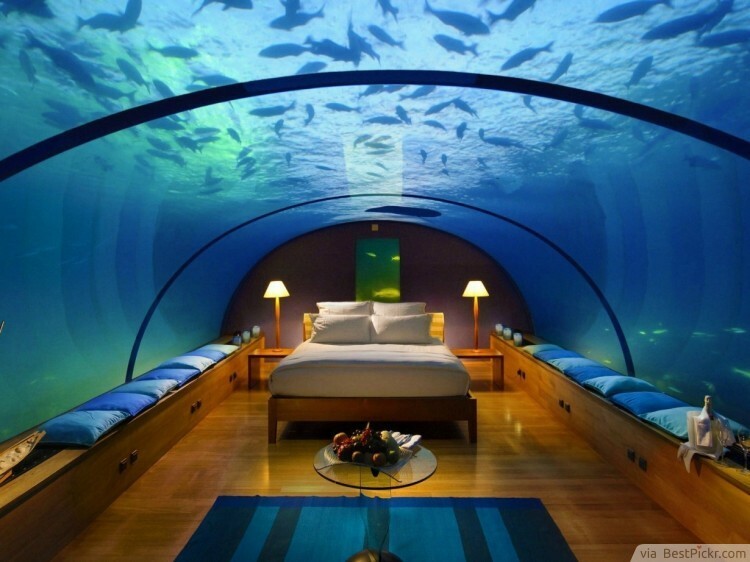 This bedroom is a subtle form of being one with nature. 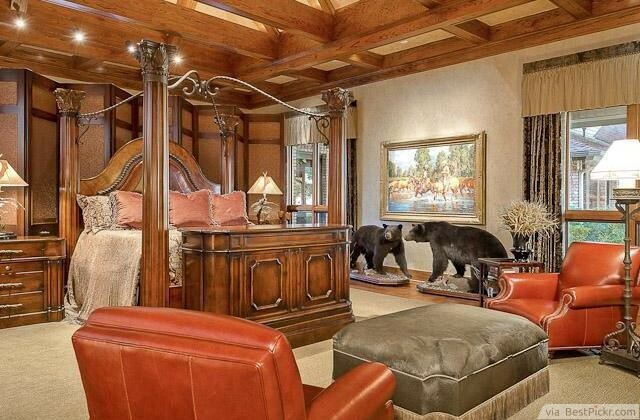 That’s right, bears in your bedroom! 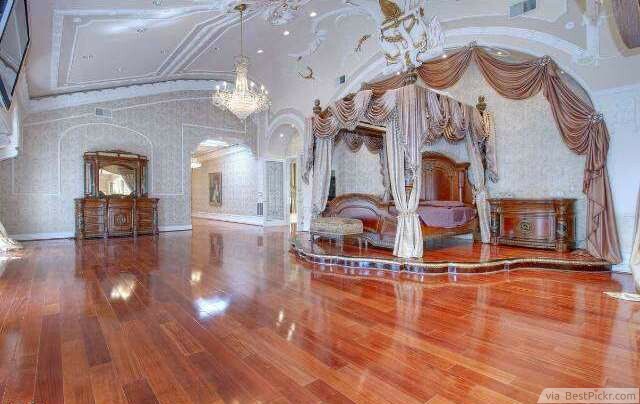 In this massive wooden bedroom you'll feel like you wake up in a taxidermist’s shop every day. 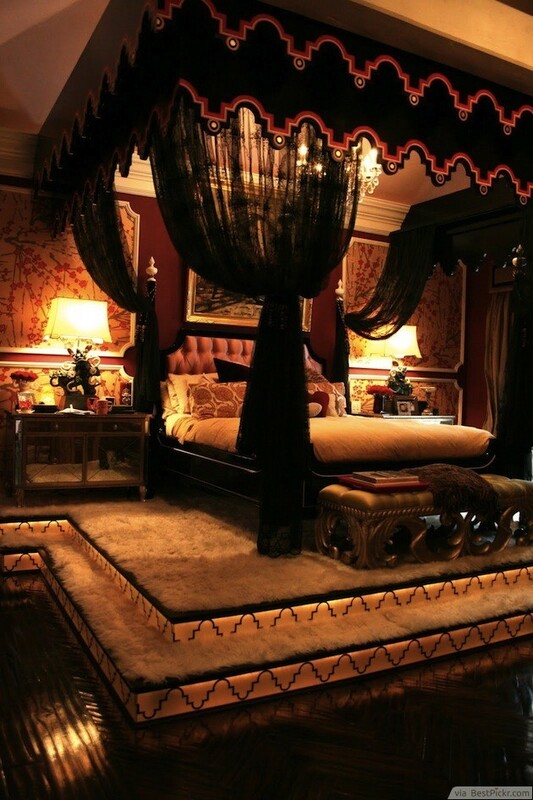 Truly unforgettable with its stately bed and luxurious leather furniture. 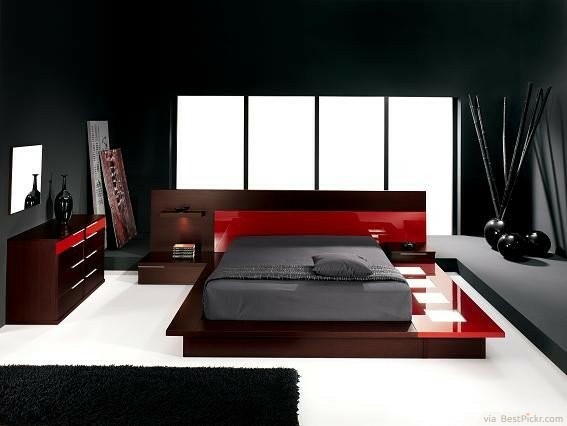 If you want it extremely plain in color, but striking in shape, then this bedroom is made for you. 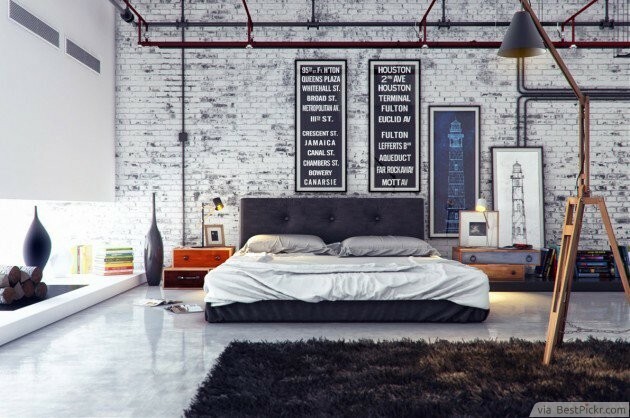 This minimalist-styled master bedroom looks neat and perfect. 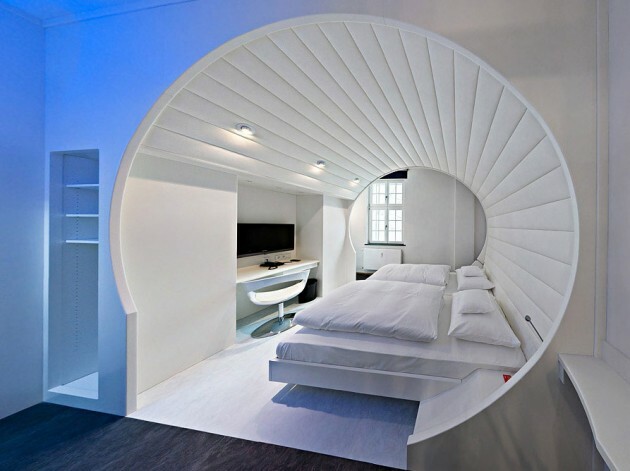 There is no need to add accent colors because white is the perfect match for the round encasement of the room.